Ms. Sonya Broadway is an Air Force veteran of the Gulf War. She attended college in Virginia and after graduating with her first degree, she entered the Air Force. In the military, she served in Security Forces and obtained her second degree in Criminal Justice. In 1996 while stationed in Saudi Arabia, she was wounded by a truck bomb. She was awarded the Purple Heart for wounds received in action. After the attack, she cross-trained to Lackland AFB as a Military Training Instructor, aka “Drill Sergeant.” She was retired from the service in 2003 at which time she completed her third degree from the University of St. Thomas in Houston, Texas. During her time in the service, she was awarded the Purple Heart, an Achievement Medal with Valor, and the Colonel Billy Jack Carter Award for heroism. 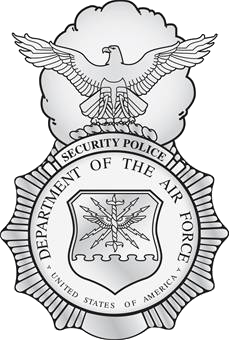 Her actions both stateside and abroad, led to her being selected as the Air Force's Outstanding Security Police Airman of the Year. 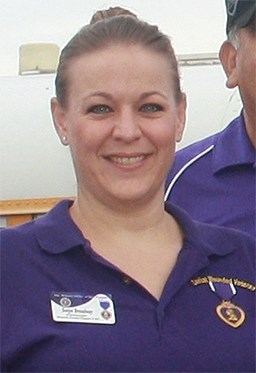 Ms. Broadway now works as a Veteran Service Officer in Brazoria County, Texas. She is married to Deputy Daniel Broadway of the Brazoria County Sheriff’s Office and they have four children. Patriot Neil Van Ess of Totowa, New Jersey, served in the U.S. Army from 1968 to 1970, and was assigned to Company C, 3/506th,101st Airborne Division. In 1968 he was deployed to Vietnam with the 101st and during a combat operation was wounded in August 1968, for which he received the Purple Heart Medal. Following his military service, Patriot Van Ess returned to college, receiving a bachelor degree in Criminal Justice in 1985 from the William Paterson College. He then went on to pursue a Master degree from the school of Law and Administration from Seaton Hall University in 1989. Beginning in 1982, Patriot Van Ess entered into law enforcement with the Totawa Police Department. He quickly advanced through the ranks in the Department and after serving as Detective Bureau Commander, in 2010 was promoted to the position of Captain Patrol Commander, capping a distinguished 30-year career. Throughout his career, Neil has selflessly devoted himself to service to the community. He was elected to the Totowa Board of Education from 1986 to 2005, serving 6 terms and served as President of the Board for 12 years. In 1991, he was named Police Officer of the Year by the DARE Officer Association, and in 1992 received a Senatorial appointment on the Governor’s Council on Alcoholism & Drug Abuse, where he has served as its Acting Chairman for the past 6 years. 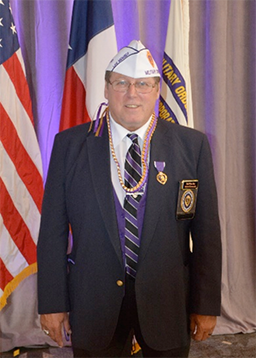 In August, 2017, Patriot Van Ess was elected as National Commander of the Military Order of the Purple Heart at the 85th National Convention in Dallas, Texas. 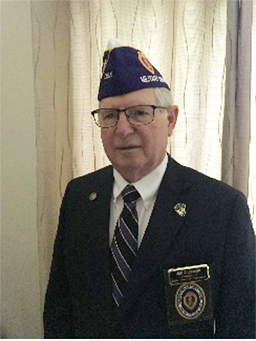 A life member of Military Order of the Purple Heart Chapter 366 since 1989, he has served in numerous leadership positions at the Chapter, Department, and National levels. He is also active in a number of other Veteran Service Organizations. Patriot Van Ness and his wife Luisa continue to live in Totowa, New Jersey. He is the proud father of two grown children. Patriot John Bircher had a distinguished, 30-year military career. He joined the U.S. Army in 1959 as an enlisted man and graduated from Infantry Officer Candidate School in March, 1963. He retired in 1988 as a Colonel. Although a Military Intelligence Officer and Middle East Foreign Area Specialist for most of his career, he served in Vietnam with Special Forces in 1969-1970 where he received the Purple Heart. Among his many CONUS and overseas assignments, he served as a Military Attaché in Iran, Lebanon and Morocco and speaks both Arabic and French fluently. His last military assignment was at the U.S. Department of State where, as an exchange officer, he was the Director of Regional Affairs and Politico-Military Advisor to the Assistant Secretary of State for the Near East. He is a graduate of the National War College and holds a Master’s Degree in Political Science. 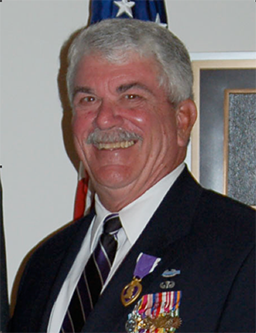 For his valor and military service, Patriot Bircher was awarded the Defense Superior Service Medal with two Oak Leaf Clusters, Legion of Merit, Soldier’s Medal, Bronze Star Medal with “V” device for Valor with Oak Leaf Cluster, Purple Heart, Defense Meritorious Service Medal with Oak Leaf Cluster, Army Meritorious Service Medal, Air Medal, Joint Service Commendation Medal, and Good Conduct Medal with Two Knots. He was also awarded the Combat Infantryman Badge, Parachutist Badge, Office of the Secretary of Defense Identification Badge, Special Forces Tab, and numerous other U.S. and foreign decorations. He was twice awarded the “Ouissam Alaouite” by the King of Morocco. He was awarded the Infantry’s Order of St. Maurice in April of 2015 and was inducted into the National OCS Hall of Fame in 2016. Patriot Bircher is now twice retired, as a soldier and as a Government Relations Consultant in Washington, DC where he was President of Neill and Company, Inc., a government relations and public affairs company that specialized in Middle East business and politics. 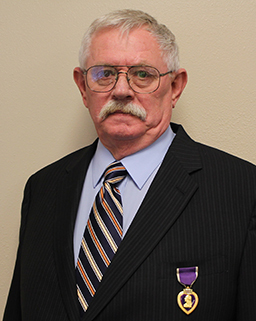 Since 2008, he has served as the National Director of Public Relations for the Military Order of the Purple Heart. He was on the Board of Directors of the American Defense Preparedness Association (ADPA), the Board of the National Defense Industry Association, the Board of the Tangier American Legation Museum, and the Board of Directors of Angel Flight America, a national 501(c)(3) non-profit organization that provides free transportation to medical patients in need of assistance. He also served as an Ambassador for the U.S. Army Freedom Team Salute program. He currently serves on the Board of Advisors for Purple Hearts Reunited, the Veterans Golf Association, and Tee It Up For The Troops, a non-profit organization that specializes in adaptive sports for severely injured military personnel and veterans, The Board of Advisors for the Veterans’ Golf Association, and the Board of Advisors of the Purple Heart Foundation. Patriot Bircher and his wife Carol now reside in Lady Lake, Florida. Patriot Anderson a native Californian served in the US Navy from 1966 to 1970. Entering the Navy as an E2 and being discharged as an E5 Boatswain Mate 2nd Class. Out of the four years of active duty, three and a half of those years were in country or around Vietnam. First tour was aboard a Destroyer Rescue (DDR) patrolling and providing fire support in the Gulf of Tonkin, North Vietnam. 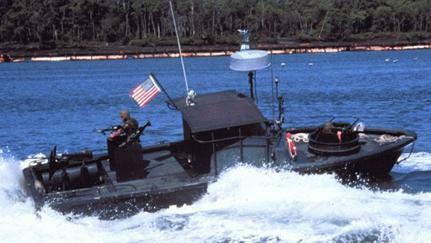 Upon returning to home port of San Diego he received orders for Counter-insurgency training in Norfolk, Virginia. In March of 1968 after finishing the training he arrived in Da Nang, Vietnam where he was assigned to NSA Security. He was sent to Cue Viet to take over a patrol boat in the brown water Navy where on August 23, 1968 his craft hit a mine and sunk in the Cue Viet River. No crew members were lost that evening but he received the Purple Heart for his injuries being blown off his boat. Returning to Da Nang with his crew he took over another patrol boat that patrolled the Da Nang harbor and river until April of 1969 when he received orders to an Aircraft Carrier (CVA). Meeting the carrier in San Francisco he was assigned to the Master-at-Arms force. The carrier was deployed back to Vietnam. In May of 1970 he flew off the carrier to return to the states by the way of Da Nang for discharge. Patriot Anderson was awarded the following, Good Conduct Medal, Purple Heart Medal, Vietnam Service Medal with 2 Silver Stars, Republic of Vietnam Campaign Medal with 60Bar, Combat Action Ribbon, Republic of Vietnam Meritorious Unit Citation (Gallantry-Palm), National Defense Service Medal, Navy Unit Commendation Ribbon, Navy Meritorious Unit Commendation. Since joining the Military Order of the Purple Heart of the U.S.A., Inc he has held the positions of Department of California Adjutant, Finance Officer for about eight years and now the Department Commander. He is involved with the California State Commanders Veterans Council, California Vietnam Memorial Name Committee and a member of the Vietnam Veterans Association and American Legion. 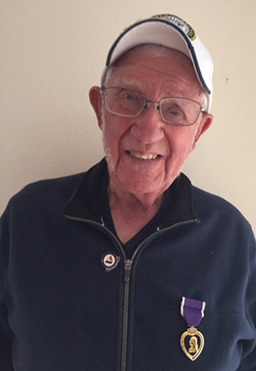 Patriot Anderson is retired and living in Grass Valley, California with his wife Sherri of 48 years, has two daughters, three grandchildren and two great grandchildren. Since returning to civilian life he attended collage obtaining an Associate Degree in Accounting while working for a Certified Public Accountant firm and was shy of a Bachelor Degree after making a career change. Having a background in automotive repair he opened a repair shop in Santa Rosa, California until the California State Automotive Association asked him to come to work for them in a new diagnostic center in Santa Rosa. In 1995 he moved to Bakersfield, California since his wife’s work had opened a new regional office and she took a transferred there. He then opened a business doing automotive warranty inspections for various insurance companies throughout California and Nevada before retiring in 2008. John Miller Sr. is the reigning Sovereign Grand Master of the Independent Order of Odd Fellows. Sovereign Grand Master is the highest elected position of the Order. He was raised in New Milford, Connecticut. After graduating high school, he joined the US Navy where he served four years. For 35 years he worked at the Nestlé's Company in New Milford. During that time he was also a member of the Volunteer Fire Company and is a certified Level 1 Fire Fighter. He was also an EMT on the Volunteer Ambulance Service, retiring from the Ambulance Service as Assistant Chief in 1999. He has also served as a Red Cross volunteer for 10 years as a CPR instructor and is a Certified First Aid instructor. Prior to being elected as Sovereign Grand Master of the Sovereign Grand Lodge of the Independent Order of Odd Fellows (IOOF) for the current 2017-2018 term, John served as Grand Master of the IOOF jurisdiction of Connecticut for the 2006-2007 term and again in 2012-2013. 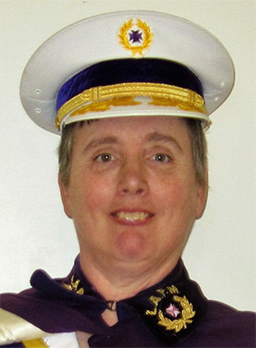 He was the Grand Encampment of Connecticut's Representative to the Sovereign Grand Lodge from 2008-2015. 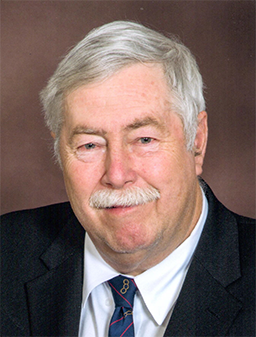 He has also served many years on the Board of Directors of the Fairview Odd Fellows Home of Connecticut. John and his wife Connie currently reside in Warren Connecticut. The Millers have two sons John Jr. and Stephen and two grandchildren. John's hobbies include camping, golfing, gardening, fishing and hunting and of course SCRAPPING!!! Dave Reed is the current Grand Master of the jurisdiction of California, Independent Order of Odd Fellows. Grand Master is the highest elected position within a state jurisdiction of the Order. 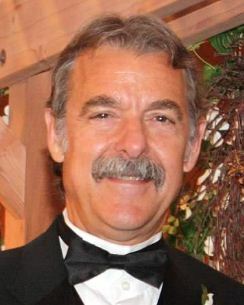 He has been an Odd Fellow for over ten years during which time he has also served as a leader of his local lodge in Davis as well as in the statewide organization. He has also served on the Board of Directors of the Odd Fellows Home of California. Dave was born and raised in Homewood, Illinois, a southern suburb of Chicago. After graduating from the University of Illinois with a degree in Civil Engineering, he moved to Davis, California in 1979 and never left. He attended law school in Sacramento, CA at the University of the Pacific McGeorge School of Law. Following law school, Dave opened his own law office, running a general practice for over 23 years. Dave now serves as a Superior Court Judge of Yolo County, California. Dave and his wife Sheryl have been married 37 years and have three adult children. Their first grandchild arrives in December 2017. Norm served in the United States Marines from January 1958 to January 1968. He was crew chief of a UH34D helicopter in Vietnam. While on a medical evacuation mission for wounded American soldiers, they were trying to land on the side of a 200-foot hill. Norm was injured when enemy fire hit an oil line, causing the aircraft to crash. Norm’s wife Gayle is a member of Van Nuys Rebekah Lodge #239 here in Southern California. Bob served in the United States Navy from August 1943 through October 1946. He was wounded on November 29, 1944 while serving as loader of a 20mm gun on the battleship USS Maryland in the battle of Leyte Gulf. A kamikaze Zero carrying a 500-pound bomb hit the ship about 15 feet from where Bob was located. The bomb killed three of his crewmates. Bob received first, second, and third degree burns to his face. Ronald Hanson served in the United States Army from 1966 through 1972; he served in Vietnam from 1967 to 1969. First with Delta and Bravo troop’s 1st Squadron 9th Cavalry, 1st Air Cavalry division (air mobile). 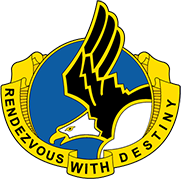 After leaving the 1st Cavalry he was assigned to Company D 51st Infantry USARPAC and later to Company D 58th Infantry USARPAC. 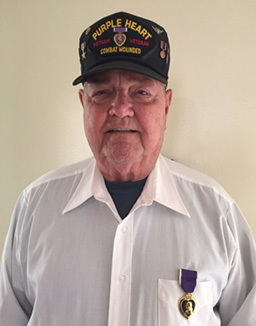 He received the Purple Heart for wounds sustained during a night combat operation to secure an ammunition supply point that was under attack by enemy sappers. As his squad entered the supply point an ammo bunker exploded, causing his injuries. Mr. Hanson is a member of the Independent Order of Odd Fellows; he has served as Grand Master of the jurisdiction of Washington State twice, and was the Washington representative to Sovereign Grand Lodge for 10 years. He currently serves as parliamentarian for the Grand Lodge of Washington IOOF and as the Sovereign Grand Guardian of the Sovereign Grand Lodge IOOF. At fifteen years old, this is Jasny’s fourth year working on the Odd Fellows and Rebekahs Rose Parade Float. At first, the most amazing thing was how many floats were being worked on at the same time, in the same barn, while the most surprising thing to her was how many people she knew from other places that were also working on various floats. Many of the float decorators Jasny recognized she had first met at the Renaissance Pleasure Faire where she has been a volunteer for most of her life by participating in parades, performing stage and street theater, and recently, as a musician with her violin. 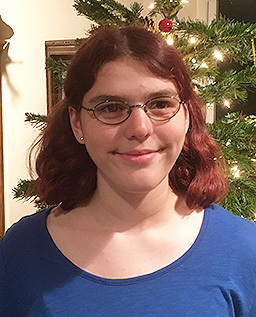 Jasny’s education has always been through homeschooling which has allowed for some great field trips, such as going to the Redwoods to study ecology for a term paper. A stop over in San Francisco helped with history studies. Her favorite recreational pastimes include playing RP games, archery, and attending her youth group. Jasny focuses primarily on music, voice techniques and practicing her instruments of violin, piano and harp. The friends Jasny has made while decorating the float have added to the fun of working with the flowers and fitting them into the smallest, hardest to reach places. Jasny’s favorite part of working on the floats is the final night when the roses are put on the float, filling the air with their wonderful perfumes. Lady Estella Crowder is the current President of the International Association Ladies Auxiliary Patriarchs Militant (IALAPM). She is from Niagara Falls, Ontario Canada. She has been a member of the I.O.O.F. 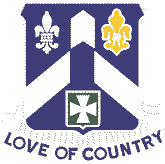 for over 42 years and holds membership in every branch of the organization; Odd Fellows, Rebekahs, Encampment, Ladies Encampment Auxiliary, Patriarch Militant (Canton) and Ladies Auxiliary Patriarchs Militant.